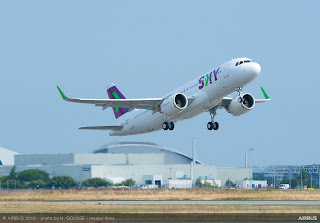 Another A320neo takes to the Sky! 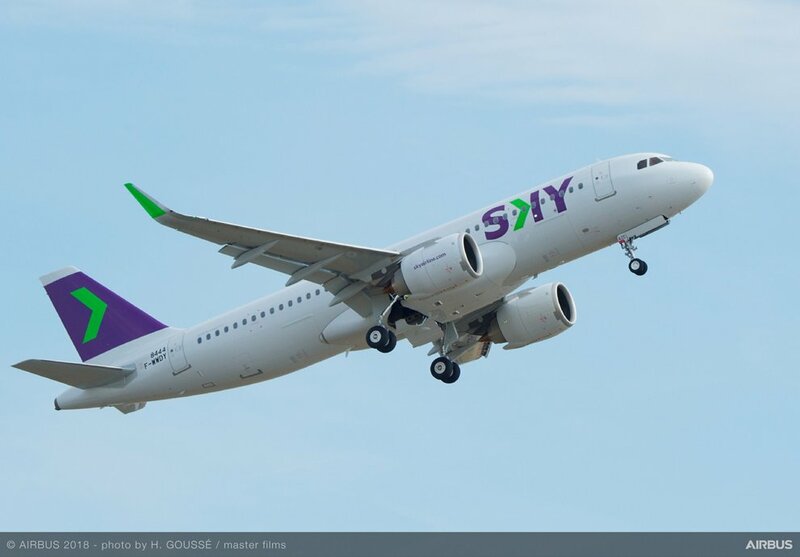 The Chilean low cost carrier and all-Airbus operator Sky Airline has taken delivery of its first A320neo aircraft, on lease from ALC, at a delivery ceremony in Toulouse, France. Sky Airline’s A320neo is powered by CFM Leap1A engines and has a capacity of 186 passengers, incorporating innovative Space Flex features. This new A320neo joins Sky Airline’s existing fleet of 15 A320 Family aircraft and is the first of 21 A320neos to be leased by the airline. 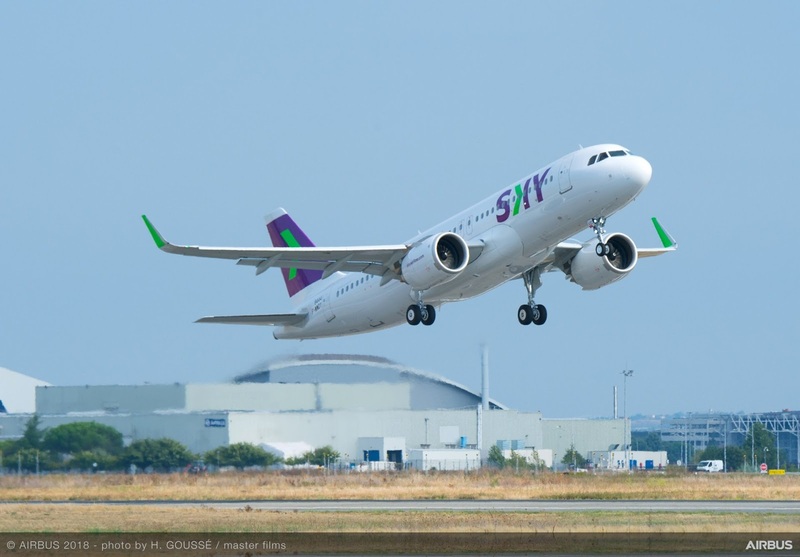 The A320neo Family is the aircraft of choice for airlines in Latin America, capturing 680 orders and commitments from lessors and nine customers, representing over 70 percent of orders in the new generation single-aisle aircraft market. Featuring the widest single-aisle cabin in the sky, the efficient A320neo Family incorporates the very latest technologies including new generation engines and Sharklets, which together deliver more than 15% fuel and CO2 savings from day one and 20% by 2020 as well as 50% noise reduction. With more than 6,100 orders received from over 100 customers, the A320neo Family has captured some 60 percent of the market.